The dogs were on the way to Detroit when an airline employee stole a plane at the airport in Seattle, resulting in the delay of several outbound flights. 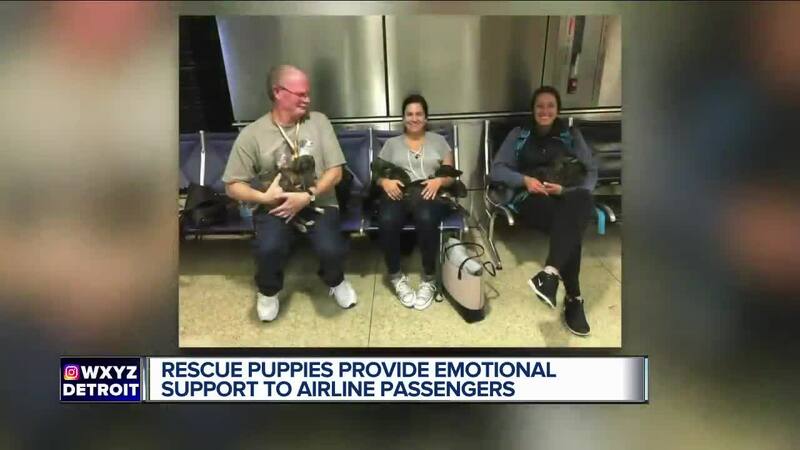 A Monroe County volunteer was stuck at the airport with the nine puppies, which brought peace to a chaotic situation. An adoption event will be held at Serenity Animal Hospital on Sunday, Aug. 26 from noon to 4 p.m. at 13800 15 Mile Road in Sterling Heights.